Art Campers will practice art skills and be challenged according to their skill level. 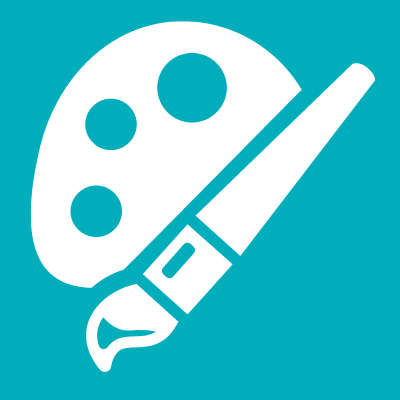 Campers will create a variety of art projects, with a focus on specific art mediums. We will also go on an art field trip each week. Art projects will be displayed at the Camp Art Exhibit at the end of the session. Our Art Camp Director is Kelly Reichman who is the Art Teacher for Hyman Brand Hebrew Academy. Fabric Art – It’s A Wrap! We will be creating several fabric art projects this week using tie-dye, batik, weaving, and more! We will get messy this week! We will be creating several art projects using clay, shaving cream, bubbles and more! We will be creating some crazy art projects this week. We will be using several art techniques, including printing, foil art, beading, and mixed media. This week we will be learning unique drawing and painting techniques to create a variety of art projects.